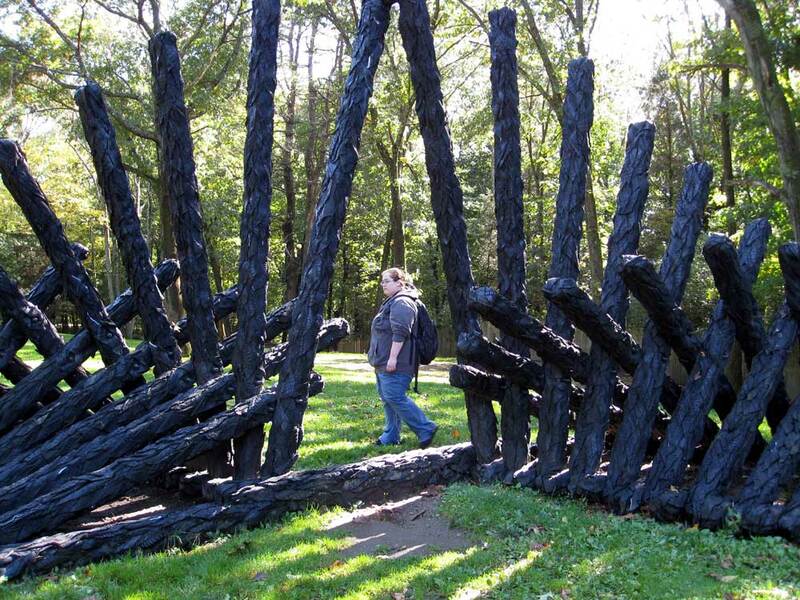 Chakaia Booker uses a lowly material to make elegant, intriguing sculptures that have rhythm and varied textures. They are durable for outdoor exhibits and environmentally considerate. She uses recycled common tires, cut up in various ways to yield textures that suggest scales, feathers, hair, basketry and other surfaces. These are wrapped around wood and steel armatures in evocative, black-surfaced forms. The largest exhibit to date in this country of her work was held this summer at the deCordova Sculpture Park and Museum. Here are further images of Chakaia Booker’s work from that solo exhibit. Booker’s work of the past ten years is appealing on several levels. It echoes her African heritage in the way that the configurations and surfaces remind one of African patterns, handiworks and general aesthetics. The color – native to the processed rubber of the tires – makes her forms imposing, many with a poised grace. And her inventive use of the different repeated cut shapes in sometimes spontaneous, almost living, forms or staid compositions of elements that converse with one another makes a satisfying experience for any viewer. 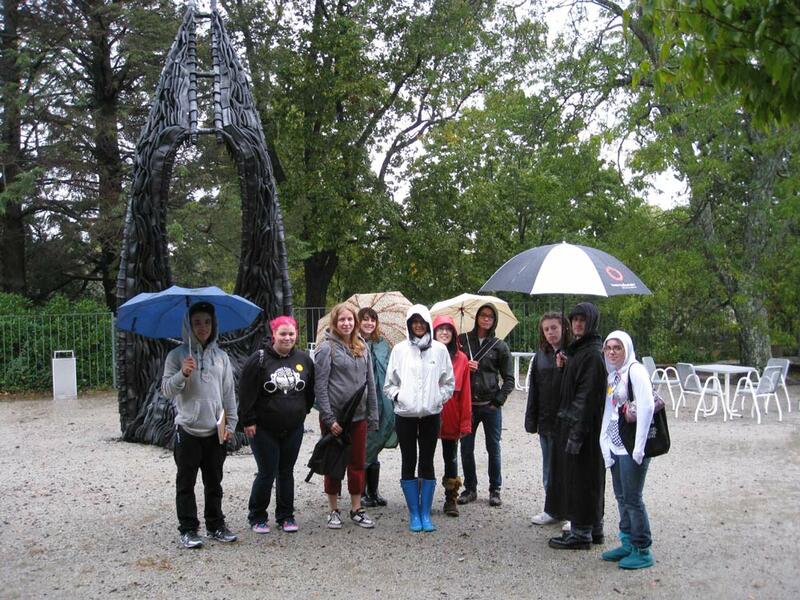 This entry was posted in reviews, sculpture and tagged Chakaia Booker, contemporary art, DeCordova Sculpture Park, environmental art, public sculpture, sculpture. Bookmark the permalink. Post a comment or leave a trackback: Trackback URL.